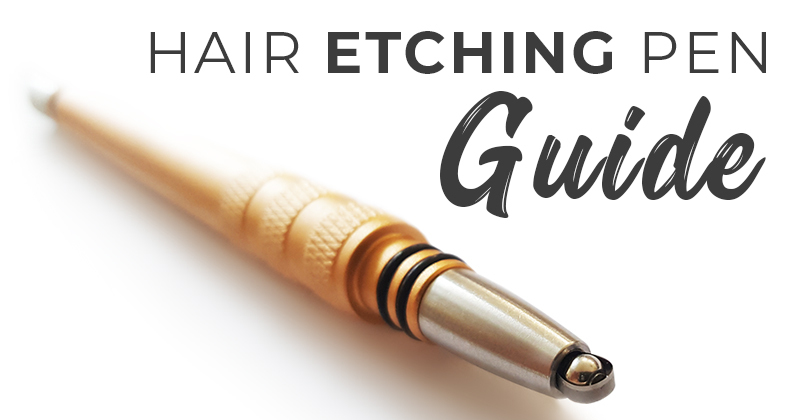 Welcome to the Hair Etching Pen Guide! In today’s post, we will explore the definition of a hair etching pen, history, functionality and best use practices. Additionally, we’ll take an honest look at the pros and cons of using this tool. We hope you find this post useful and helpful! Of course, if you have any questions that we haven’t covered, include them in the comments below. What is a hair etching pen? A hair etching pen is a tool used to create hair tattoo designs, undercut designs, nape designs and side-shave designs. Additionally, the tool can be used to shape eyebrows. More specifically, a hair etching pen is useful in creating circular designs, curves, swirls and mandala inspired undercut hair designs. Designs are created by etching directly onto a pre-shaved region of the scalp. Typically, these regions are trimmed down using a level 2 or 3 clipper. Occasionally, a level 4 clipper may be utilized for depth variation. It is not recommended that those without hair design experience use a hair etching pen. This is a very sharp tool with a fine blade that could easily cut the skin if not handled properly. It is a fairly simple tool for professional stylists and barbers. With some practice, this tool may also work well for those with experience cutting their own hair and feel comfortable using traditional barber or stylist tools. The use of a hair etching pen requires a steady hand. Preferably, from someone with experience using straight razors and other close-shave tools. Are there different models available? There are several different models of hair etching pens available that are manufactured and distributed by numerous companies. However, the overall characteristics of the hair etching pen remain the same. The hair etching pen tool is typically constructed of a pen or pencil like drawing body. It is held manually and used to etch designs. More often than not, they are made of stainless steel. However, some models feature both stainless steel and a plastic polymer. All have a small razor at the drawing end of the pen. The majority have a release function so that you can replace the old razor with a new one. The Royal Etch pen is manufactured using high-quality stainless steel. Most hair etching pens come ready to assemble. In other words, you are responsible for installing your hair pen and putting it together. At Royal Etch, we provide a free installation service for customers. We will even install your first micro-razor so that it arrives ready to go! This is available upon request. Please email royaletch@gmail.com and let us know if this is something you are interested in upon placing your order. What is the history of the hair etching pen? The Caneta Capilar was one of the first manufacturers to launch a razor-like pen for hair designs. The product was originally derived from a surgical capillary tool used by medical practitioners and surgeons. Today, the company continues to manufacture and export surgical instruments as well as tools for manicure and beauty. Hair etching pens come in many shapes and sizes. We have kept our design simple and focused on ease-of-use and enhanced grip functionality. What is the history of hair tattoo designs? As a fairly recent innovation, the hair pen became popular quite recently. However, hair designs go way back and are rich in history. A variety of tools have been used throughout history including straight razors, trimmers, clippers, curved blades and more. 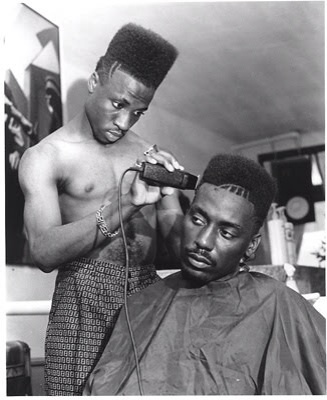 In a recent Mashable article, Meredith Chesney of Brooklyn’s The Corner Barber explains that hair designs are “nothing new” and have been a staple of black barbershops for decades. 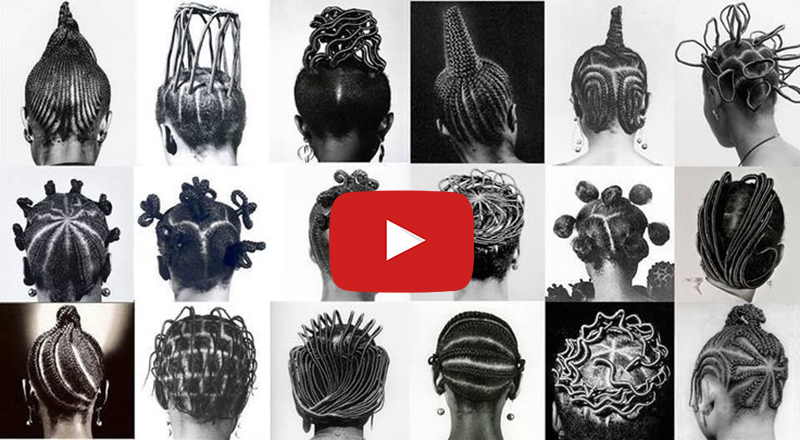 Here is a great video covering the history of natural hairstyles. The video discusses that dreadlocks and hair designs go all the way back to ancient Egypt. Additionally, the narrator explains the cultural significance hair played among African tribes. That being said, shave art has played a significant role across continents worldwide. Ancient civilizations including Mayan, Aztec, Iroquois, Viking, Mongolian, and Chinese empires were no strangers to unique hair shave designs. Hair designs became quite popular during the 80s and 90s when fades as well as the box cut became popular. You might also remember the side shave design Cyndi Lauper rocked in the Time after Time music video. Taking it back even further, we can see the prevalence edgy hair designs played during the rise of the punk movement that began in the late 70s. What set the recent hair tattoo designs trend in motion? While it’s hard to say exactly how and when the more recent hair tattoo design trend started, celebrities helped to push the movement into the mainstream. In 2016, Halle Berry rocked an undercut with a lotus flower design buzzed into her nape. That same year, the undercut and hair tattoo design trend blew up. Cassie shaved the side of her head with minimal line art. Fantasia wore an edgy undercut. Later in 2017, celebrities took the trend further including Rihanna, Mary J. Blige and Alicia Keys. Suddenly, hair art began trending like wildfire across social media. In the recent Black Panther movie, Zimbabwean-American actress and playwright Danai Gurira rocks hair etching designs like none other. Hair tattoo designs represent a niche represents opportunity for stylists and barbers. It is exciting for everyone working in the hair and beauty industry as the market is becoming more open to self-expression. Check them out and prepare to be inspired! Do you have a favorite hair design artist? Mention them in the comments below! How is a hair etching pen used? The Royal Etch hair pen is used in a similar manner that an artist draws on paper or paints on canvas. However, that analogy may sound as though using one has little risk. Professionalism and a steady hand is necessary. Unlike a paint brush, this is an extremely fine, sharp tool. Controlled, conscious motion produces the best results. Avoid etching too firmly or pressing the tool into the skin. When using a hair etching pen, it is important to use light strokes with consistent pressure. How do you put a hair etching pen together? Because hair etching pens differ in their design than others, this will all depend upon the make and model that you choose. We have put together detailed hair pen instructions as well as a video on how to assemble your razor. The simple, lightweight design of the hair pen makes it relatively easy to etch unique shapes. The small frame and easy-to-hold frame makes creating circular shapes and swirls intuitive. A hair etching pen is a great tool to incorporate into your artistic toolkit and can easily be used alongside other tools traditionally used to creating etching design work. A few of these tools include straight razors, trimmers and clippers. Range of motion is enhanced using a hair pe as you are able to utilize the full expression of your fingers. Finally, a hair etching pen does not require electricity. It is an effective manual tool that is easy to transport. While the hair pen is a relatively simple tool, using it is not quite as simple as it might appear. We say this not to deter customers, but because we care about your safety! This tool requires professional skill and some level of experience. There is no protective barrier between the razor and the skin. Therefore, a steady hand and feel for the tool are important factors. Additionally, because the hair pen is a new tool, there is limited information available on best use practices. We hope to expand available knowledge and best use practices through the recommendations of Royal Etch Artists, our Facebook group. Note: Within the next few months, we hope to develop a new tool that increases safety and makes it a bit easier for beginners to get started! For the time being, we recommend the hair pen currently available on the market (both ours as well as other companies) to professionals and/or those who have experience using other close shave razor products. Can I use a hair etching pen with other hair tattoo design tools? Absolutely! There is no limit to the number of tools you may use to etch creative hair tattoo designs. A hair pen is difficult to compare to a trimmer or clipper because the two are completely different tools. If you are experienced, a trimmer can be a great tool for creating very precise straight lines. A hair etching pen can also create straight lines with a steady hand, but its strength lies in its ability to create curved lines, circles, swirls and mandala like etching designs. What safety precautions should be taken when using a hair etching pen? A hair etching pen should be handled with great care. First and foremost, you should have some level of skill and proficiency using razors, trimmers and other tools used to create a close shave. Professionalism and experience is important. To reduce nicks and any chance of razor burn or cuts, we recommend you utilize a quality shave oil or moisturizing cream. There are many options available but really, anything that helps to moisturize both the skin and soften the hair will work. Use this prior to shaving and allow time for the shave oil to set, at least 10-15 minutes. Lightly massaging the scalp helps as well, further helping to soften the skin, increasing skin elasticity and softening the hair follicles. While it is optional, you may want to wet down a cloth with warm water and use it on the area prior to shaving. While warmth does increase blood flow, it also helps to further soften the skin and hair. Another option is to use a clear shave gel such as Gillette Fusion’s ProGlide. Use a very thin layer over the area you plan to etch. Again, this is an optional step. While it may seem counter-intuitive since many designs are created using a dry shave technique, please keep in mind that a hair pen is a very different tool that shaves extremely close to the skin. Can a hair etching pen be used on children? We recommend gaining experience practicing on adults first. Once you are comfortable and have got a good feel for the tool, slowly transition to working on children. A hair etching pen is a unique hair tattoo design tool that has its own characteristics and benefits. It is, however, a professional tool that is recommended for those with experience using straight razors, trimmers, clippers and other hair design tools. The reason for this is that the hair etching pen is a very sharp fine tool with no protective barrier between the razor and the skin. We emphasize safety above all things, for our customers and all hair pen users. Please stay on the lookout for more guides, tutorials and videos right here on the Royal Etch Blog. Thanks for stopping by and please let us know if you have any questions in the comments below. We’ll get back to you asap!